Morris Sim is the Chief Marketing Officer for Next Story Group (NSG), which designs, manages, and markets hotels and urban spaces. In his role, he’s also responsible for Kafnu, a division of NSG that provides a new type of shared space integrating the best aspects of living, working, playing, learning, and recharging. 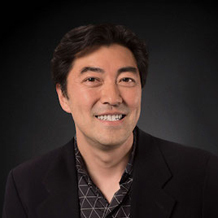 Prior to the acquisition of his company by NSG, Morris was the CEO and Co-Founder of Brand Karma, an award-winning new media agency that pioneered social media reputation management, social commerce, and virtual reality (VR), helping brands like Starwood, Marriott, IHG, Accor, and Shangri-La leverage new media to differentiate and convert. Morris also had a 10-year career at Microsoft over 2 stints, first developing products such as Access and Visual Basic, and second time as the Senior Director of Evangelism for the Windows platform globally. In between these 2 stints he served as the Chief Technology Officer for ralphlauren.com making it one of the first luxury fashion retailer to get into e-commerce profitably. Named one of the 10 most influential people in APAC online travel by Web In Travel, he also currently serves as an Executive Director for Montara Hospitality, owner of the award-winning resort, Trisara, in Phuket, Thailand.